Ok, what are you up to Microsoft? 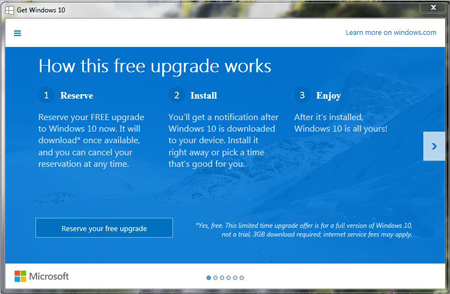 You’ve put out absolute lumps of operating systems (Vista and 8) and now you want me to just trust you and download Windows 10… for FREE? Oh, and the free upgrade precedes the actual market release date by a full month? (Maybe that’s why its free – they’re looking for early adopters to have the pain of discovering all the problems?) And I’m supposed to be satisfied using a operating system that is designed to deliver the same experience on mobile and desktop platforms? No thanks. Not me. I dealt with being an early adopter of Vista and learned my lesson. It’s Windows 7 for me for the foreseeable future.